The UFC light-heavyweight Daniel Cormier has responded to the reports that his great rival Jon Jones recently passed a polygraph test in his efforts to prove he did not knowingly take PED’s in the leadup to UFC 214. The meteoric rise and unfortunate fall of the former-two time UFC light-heavyweight champion Jon Jones is a story that may well see another twist before all is said and done but with yet another massive controversy on his record after last July’s UFC 214, it really doesn’t look good. Jones, whose title-reign was perhaps the most impressive in the history of the sport, tested positive for turinabol, an anabolic steroid, just prior to defeating the champ Daniel Cormier by way of third-round TKO. 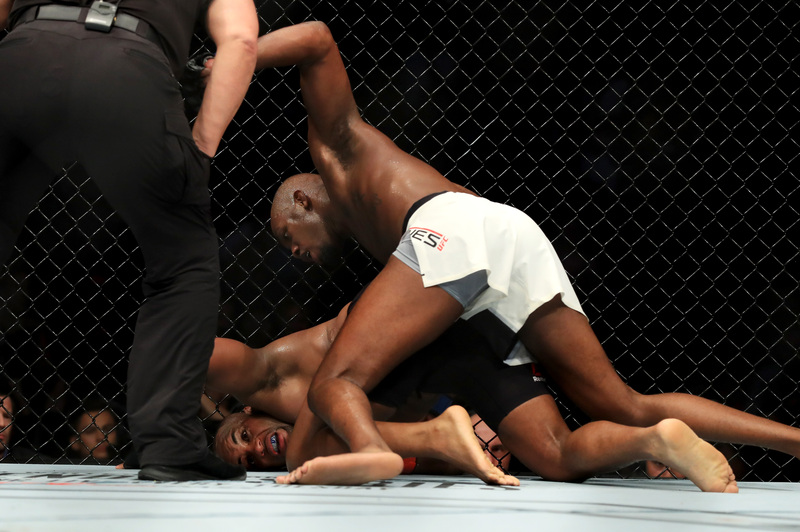 The fight itself, though thrilling from start-to-finish, was quickly ruled a ‘no-contest’ and now, the possibility of Jones being given a four-year suspension from the UFC is a very realistic possibility. It emerged earlier this week that Jon had voluntarily taken a polygraph test in order to help his case and while such a test will have no bearing on his hearing, he still passed it, something that in some people’s eyes added weight to his case. Jones has, of course, maintained that he in no way knows how the banned substance ended up in his system and during his appearance at the UFC 220 open workouts, his greatest rival Cormier addressed the news and understandably, he wasn’t exactly convinced.